Music has the power to unite. 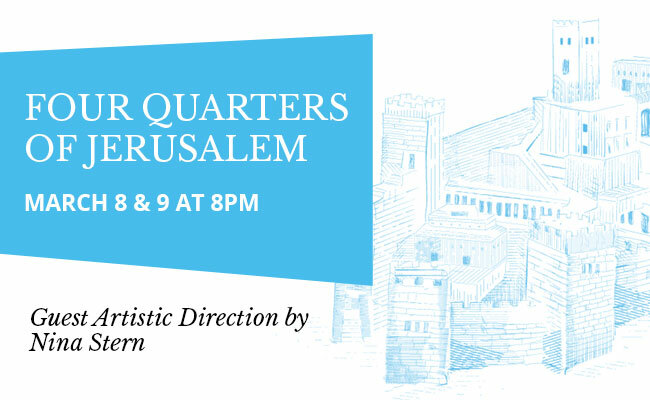 Welcome critically acclaimed early- and world-music ensemble Rose of the Compass as they present an extraordinary program that celebrates the diversity of faith and musical traditions of the city of Jerusalem. Listeners will travel through the Muslim, Christian, Armenian, and Jewish Quarters as oud, kanun, recorders, and chalumeau act as gateways to ancient lands – creating a diverse soundscape while unifying us in the hope of understanding and acceptance.